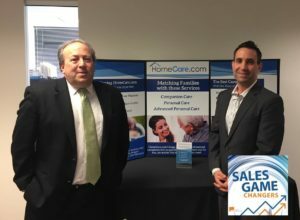 David Posner is the VP of Sales for homecare.com. He’s been in the healthcare industry for 15 years and started his career at Teva Pharmaceuticals. After seven years, he moved into the senior care space with LivHOME before moving to homecare.com. Fred Diamond: Tell us specifically what you sell today, David, and tell us what excites you about that. David Posner: I’m very fortunate, I work for a company called homecare.com and basically what we do is we provide caregivers, nurses into family’s homes, usually seniors who need a little bit of extra help at home. Maybe they don’t want to go into an assisted living or not ready for it yet but need help with what we call activities of daily living: bathing, toileting, dressing, just need a little extra help at home and we have fantastic nurses and caregivers who really care. Then they’re just there to help them out, get them to do some of the activities or take them to a doctor’s appointment, whatever they need. We’re providing services not only here in the mid-Atlantic area but throughout the country and we’re happy to help in if anybody needs us, homecare.com. Fred Diamond: That’s got to be a huge challenge right now when families have to go through that and find care for their seniors. David Posner: It’s a big cost. The cost is rising rapidly from hospitals, rehabs, assisted livings and so we’re a nice alternative to help families out a couple hours here and there that they need it. Fred Diamond: Who exactly do you sell to? Who are the people that you physically go out and sell your services to? David Posner: It’s actually a two-point sale. First is our referral sources, like I mentioned earlier, the hospitals, the rehabs, the assisted livings. We’re dealing with discharge planners and social workers so if you’re in a hospital and broken hip and you need to go home but you’ve got a broken hip so you can’t do the laundry and you can’t get up and down the stairs then they may recommend an aid or personal care aid or home care aid into the home to be able to help you out and that’s what we work with. From there, we’re working with the family directly so we’re setting up a schedule or finding out what their needs are, and all of our services are private paid so it’s not covered by insurances. One of the big conversations I have with families is regarding the payment. Discharge planners, social workers in the rehabs and then also directors of nursing and assisted livings. Fred Diamond: Very good. We’ll talk a little more about specifically what you sell and some of the things you need to do to be successful but let’s get back to the beginning of your sales career. How did you first get into sales as a career? David Posner: This is where I’m starting to smile and chuckle a little bit. When I was in high school, I was a telemarketer for termite insurance and so not just buying the guys that come out and do the termites but actually the insurance that covers it and I quickly learned that if I could sell termite insurance, I could pretty much sell anything and I was able to go from termite insurance to as you mentioned pharmaceutical and healthcare. I’ve sold computers, I’ve sold a little bit of everything. From termite insurances is where I first knew that I could sell anything. Fred Diamond: What are some of the things that you took away from that selling termite insurance? David Posner: It’s a lot about personality and connecting with the person you’re speaking with. When you’re on the phone, you need to find out what their needs are. Why do they need this product, or why do they need this service and really connecting them on a personal level, not just going out there and selling right away but finding out what’s going on, their situation, how you can actually help them. Fred Diamond: Do you find that as well in what you’re doing today with homecare.com? I know you said there’s a two point sale – there’s referral services, the hospitals, etcetera and I’m sure that’s probably more of a business to business build a relationship but show the competence and things like that, but do you find on the other side when you’re selling to the people that need your service that you need to have a different level of connectivity? David Posner: Absolutely, and it’s amazing. Most of the time I’m dealing with, let’s say, adult children. Sons and daughters and they might even live across the country and they’ve come home for Thanksgiving, Christmas or one of the holidays or a birthday, and they realize mom’s just not the same. She’s leaving things where she shouldn’t be leaving, she used to be really neat and tight and now things are a mess, she’s forgetting things, she’s not doing the things, she’s not as clean, maybe she’s forgetting to take showers, hopefully she’s not forgetting to take her medicine and so I get a call from the son or daughter in a, “can you help me out?” mode. The story or analogy I always like to use especially with home care is when you have a child, for nine months up to it all your friends are telling you all about what to expect when you’re expecting. You even get a party, a lot of the women get their baby showers and they get gifts and they get clothes, then even after you have the baby there’s books that tell you when you’re teething, when you’re walking, when your first word should be and you get friend and family giving you advice. However, the complete opposite happens, unfortunately, with healthcare. Especially with senior care. You get a diagnosis of dementia and it’s boom, it’s right then and there. The other thing with the analogy is like I said, you get all these gifts. Well, when you get the diagnosis of dementia you’re talking to just your doctor. Not too many people are giving you books or advice on what to do and so one of the things that I really like to be is a resource to families so I hear their needs and maybe they need an assisted living, maybe they need skilled care or wound care, or maybe they need hospice, maybe they need an elder law attorney because with the diagnose of dementia the wills and trust need to begin to be set up so I’m also trying to be a resource to these families who right then and there are experiencing something that they really need help with. Having that compassion, finding their need is one of the biggest things that we can do. Fred Diamond: It’s definitely a growing industry. Tell us a little more about yourself, what are you specifically an expert in? David Posner, tell us a little more about your specific area of brilliance. David Posner: Generally it’s healthcare. I’ve been in this market for 15, 20 years but I’d say more specifically it’s senior care. What I know better than anybody else – those people probably know as much like my COO, he knows a lot – but one of the things that I really know is senior care. I know what hospice can do, I know what home health can do, I know how hospitals work, medicate, Medicare, the new laws that are coming out with assisted livings. I am an expert when it comes to senior care. If anybody out there listening needs help or just needs advice, I’ll always be available to help them out. It’s one of the things that I can really do well and really love and have a passion for. Fred Diamond: Why don’t you tell us something we don’t know, what might there be something that let’s say we’re at that age where we have a parent who’s going to need some type of care that we should be conscious of? David Posner: Surprisingly, it’s cost. I think the cost is rising and I don’t think people are expecting it or are prepared for it. The long term care insurance industry. A lot of the big ones have folded but if you can get long term care insurance my biggest piece of advice is get it. Services like ours, home care, private duty care is all private paid. It’s not covered by insurance so if you need someone to look after your mom because she’s got dementia, you’re paying out a pocket for it. Also, the prices of assisted livings have gone up from 2000 up in this Northern Virginia DC area it could be up to 8 or 10 thousand a month and so the cost is one of the biggest things that people should begin to be aware of in addition to a lot of the things I’ve mentioned already as far as wills, trust, so on and so forth. Fred Diamond: Alright, let’s get back to your sales career here. Tell us about an impactful sales career mentor. Again, you said you’ve spent most of your career in the healthcare space, the last 10 years or so in the senior care space. 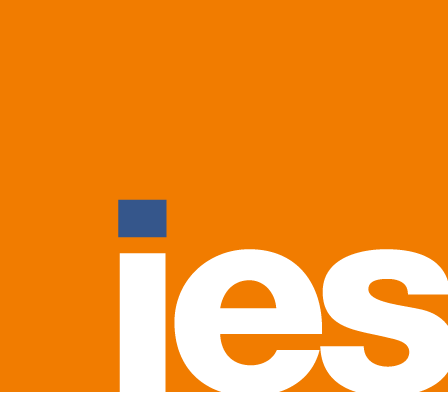 Tell us about an impactful sales career mentor and how they impacted you in the sales career. David Posner: One of the things I’ve been really lucky in my career is I’ve had some unbelievable mentors and really great people who’ve taken the time to teach me how to sell, who to sell and where to find business. I know you asked for one, I’m giving you three. First was John Kendrick who was a family friend who gave me my first job opportunity with an audiovisual company. John Kendrick taught me about networking and the importance of knowing everyone and getting out there and really my first true education in sales. The second biggest impact was with tele-pharmaceuticals, it’s with Butch McKenna, was my regional manage and he really taught me to dive deep and understand the business that you’re in. Everyone who goes out and tries to sell a widget or whatever it may be and goes in and talk to whoever the name and try to sell it but those that really know their business inside and out, those are the ones that really make an impact and really help people out. Butch has taught me a ton about that. Lastly, I’ve been very fortunate. I’ve got a double here at homecare.com, my COO has taught me a lot about we’re venture funded and taught me about venture funding investments and how to get funding. My COO, Daniel Gold, has been in the industry for 30 years, knows everybody from top Inova, MedStar Hospitals and he’s taught me how to sell to CEO’s versus selling to social workers and understanding the differences and the process, a short sale versus a long sale and putting together proposals and everything that goes along with that. I’ve been very fortunate to learn from some of the best and brightest in this DMV area. Fred Diamond: Very good. Your mentors have talked to you about the need to network and get to know everybody, really diving deep and understanding your business inside and out and how to specifically sell to the very constituencies that you’re looking to bring on board. Conversely, what are some of the biggest challenges you face today as a sales leader? David Posner: Fred, I’ve listened to a few of your podcasts and unfortunately I think it’s the same thing across the board. I think it’s finding that really great sales person. It’s not always as easy as we hoped it would be, not everyone has the same makeup that I do or some of my leaders have had so finding that right person is critical. The other thing to switch up from the standard answer, two biggest challenges is just break through. My industry, home care, private duty, I’ve got 800 competitors just here in the DC Metro area so finding a way to differentiate my simple homecare.com company from the 800 other competitors that are going into these hospitals, rehabs and assisted livings is a challenge that I face and my team faces every single day. Fred Diamond: What do they look like? Are there a couple of them head to head with a really nice website like you have, is it a one man shop consulting type who used to be a nurse? Tell me a little more about the competition. David Posner: It’s a little bit of everything. You’ve got the mom and pops, you’ve got that nurse who’s retired and knows a couple care givers and started their own company to franchises and the ones that you see on TV so there’s a big range of them. They’ve all got their own little niche and area but again, one of the things we do better than anybody else is that we have the best care givers and one of the reasons I’m in this industry in senior care is I see what the caregivers do every single day and as a salesperson, I want to make sure they have a job because if they’re going to – hopefully, this doesn’t gross out some of your listeners, but – a care giver that can go into a family’s home and realize that person hasn’t gone to the bathroom and been changed in maybe 12 hours and has to clean them up and do that and then come back the next day and then get yelled at for their names and everything else and not even remember their names, I want to make sure that person has a job because if you’re willing to go back and do that every single day, you deserve to work and I’m so proud to work for some of the caregivers that we have on our staff. Fred Diamond: Help us understand who the caregivers are. Are there tens of thousands of caregivers who provide this type of service or is there a small number and you and the other 799 competitors are competing for them to be on your team? How does that work? David Posner: That’s a great question, because that’s actually one of the biggest issues with the home care industry. On the other side, it’s one of the things we do better than anybody else. We actually have the most caregivers, we have + 80 thousand caregivers on our platform versus my competitors, there’s a huge caregiver shortage. As far as who are these caregivers, a lot of them come from west Africa or from the islands, a lot of more nurses or caretakers of their own family members and now they’re here in America and they want to be able to continue that care. That’s what they love to do, they love to care for seniors that help people out and I see you, I know the radio can’t see it but I see your face smiling and it’s that warm feeling of what they do, it’s absolutely incredible. Fred Diamond: I got a question for you. Yes, as you’re talking here we’re picturing the level of service that needs to happen and a lot of us are getting up there and have parents that are probably approaching this age, but what is it about you? Is there something that happened in your life that has brought you into selling senior services? You mentioned you’ve been doing this for the last 10 years. Do you have a story or something that ties back to this or just the way you were raised? David Posner: For me, it’s a three tier approach. One, I was first introduced to it with pharmaceutical so I sold a pill that helped with Alzheimer’s so when you’re in training – and pharmaceutical training is like 30 days out in a hotel in New Jersey – I learned everything there had to be that was available regarding Alzheimer’s. That was my first introduction to it and realizing that there is no cure for Alzheimer’s really hit home for me. That’s why on the side I work with the Alzheimer’s association and try to give as much charity to the Alzheimer association. The second thing is, just like everybody else, I had a grandmother who near the end of her life needed a little extra care that I couldn’t provide because I was working, my dad couldn’t provide because he wasn’t close and so we needed to hire a caregiver and that carer loved my grandmother and even showed up to services and just wanted to pay the respect. Seeing it that way was absolutely amazing. The third tier is just when I was introduced to it and seeing what the caregivers did that’s the final third impact like, “This is where I want to be.” I want to make sure that these caregivers have a job every single day. 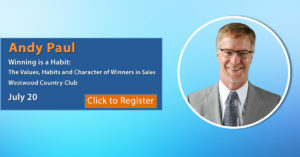 Fred Diamond: David, what’s the #1 specific sale success or win from your career that you’re most proud of? David Posner: This is actually a rate out of college. I was working with Conference Systems which is now bought out by Visual Aids Electronics and John Kendrick and the young salesperson trying to make a huge impact and really grow sales. At the time, politics aside, I learned that the former president Bill Clinton was starting this Clinton Global initiative and it had to do with his brand new Clinton Global initiative in New York where he needed interpreters in AV and I knew this was going to be something that we could get ahold of. Conference Systems at the time had worked with the state department so I knew we had some inside information, I knew this was the services that we could provide and I just attacked the hell out of it. I contacted everyone I knew that I could find on LinkedIn, Google, whatever it may be to finally get in touch with someone. I was able to finally through the network – and sales is all about networking and who you know – was able to get ahold of the right person and do a proposal. I worked with my mentor John Kendrick at the time on the proposal and we beat out several other competitors to get this. What I didn’t realize was how huge this conference was going to be. He literally had the CEO’s of Best Buy and Target to be able to put initiatives to help the world and the initiative but it ended up hugely, not only financially helping our company but growing our network and totally expanding. It realized for me that not only could I sell the termite insurance, my first job, but I can handle these big jobs too in multiple languages, multiple rooms and multiple days and this was a huge contract and it just gave me my confidence that, “You know what? I can do this” and this was a huge win for me. It’s one of the things I always like to talk about. David Posner: Absolutely not. This is what I was born to do. I love talking to people, I love making connections and as I put in my LinkedIn profile, there’s nothing in the world better than helping someone, a family out and closing that deal. I love sales. Fred Diamond: David, what’s the most important thing you want to get across to junior selling professionals to help them improve their career? David Posner: It’s funny you have this question because I literally had this exact question brought up to me this morning. I’ve got a couple sales people that are brand new into our company and tracking along and doing all the things that they’re supposed to be doing. They’re going out and calling out the right people and they’re saying the right verbiage and some of them just haven’t cracked that first sale yet but my #1 piece of advice is actually just show up. It’s obviously more for outside versus I know you work with some inside sales but on the outside sales, you will be surprised how often you can get a referral or a new sale by literally just showing up or calling that extra person and just be there. I read a lot and see a lot of videos by Gary Vaynerchuk, I’m a big believer and he just said, “Take action, just be there, be present, be in the moment, do that extra mile.” That’s literally what it takes if you really want to get that first sale under your boat, you really want to be successful it’s showing up every single day and finding opportunities. David Posner: Like I just mentioned, I’m a big fan of Gary Vaynerchuk so I’m a big consumer of wherever I can get it. I love the podcast that you’re doing, I’ve been to the Institute and read Brent Abramson’s book, there’s some great sales people out there just to name drop. From Gary Vaynerchuk, Brent Abramson, Grant Cardone, Tony Robinson’s got some great books, Simon Sinek but it also all the way goes back to the key book of all times which is “Think and Grow Rich” by Napoleon Hill I think is the foundation for everybody in sales. I’m also big on healthcare education so whatever your industry is, you need to make sure that you’re constantly up to date on your industry knowledge so for me, not only medical journals but I do a Google search every single day for what’s going on in healthcare, hospitals, rehabs, assisted livings, whatever I can find. I’m also talking to people in the industry finding out what’s going on. One of my competitors just merged but the only way I would have found that out was by going out for coffee with someone so sharpen your saw, education. Learn as much as you can about sales and learn as much as you can about the industry. David Posner: We’re very lucky here at homecare.com. We had a 200% growth last year and we just got another $11 million in funding so right now we are in the expansion mode. My success can be based off of the amount of new families that we work with as well as the new markets that we’re attacking so it’s diving deep, finding the right sales people, finding the right opportunities as well as finding markets that we have caregivers in and families that need additional services. Fred Diamond: David, sales is hard. We talked about some of the challenges, you have 800 competitors. Unfortunately, insurance isn’t covered for what you sell but it’s in that space, if you will. You’re dealing with a challenging customer during a very difficult time in their lives, I’m sure. You also have a lot of people who are going after your first sale which is the referral sources, if you will. People don’t return your phone calls or your emails, why have you continued? What is it about sales as a career that has kept you going? Absolutely. I call her back, find out a resident had some psychological issues and actually tried to commit suicide, was sent to the hospital, brought back or about to be released from the hospital and the social worker for an assisted living wouldn’t allow the person back without one on one care which is what we do in assisted livings and she called me up right away and says, “How quickly can you help me out?” I have an amazing staff and team, Christina, who was able to find a caregiver awake to be able to answer the call and we were able to get a caregiver out there within two hours, but the second part is the other part I really wanted to talk about for the sales side of it, so that was on Sunday, everything goes well, it’s successful. Again, I love the caregivers who are willing to pick up the phone at 4:30 and go out, but I go into the social worker, go to the assisted living on Monday and obviously I thank her and follow up as I need to be, but she’s new to this building. Well, you’re selling yourself and you’re going to move from career to career – I think the average now is like 7 careers, especially for millennials coming out – but it’s you that needs to be sold so that social worker called me, she called me on my personal line, she called me on other lines as well but that’s what continues to make me go on. So yes, I’m going to go out today and I’m going to have three or four no’s and slamming the door, but it’s that one who realizes there’s nobody I need to call at 4:30 in the morning that David because his aids will be there. Fred Diamond: Why don’t you give us a final thought that you can share to inspire our listeners today? That story you just gave us, if people listening today aren’t inspired, but give us something else. Give us something to leave with here. David Posner: I’m going to give two things for the junior person that’s trying to make their way through. First, find a good mentor, find a company that when you’re doing that interview, imagine yourself working for that person individually. Can you work with that person? Find that person you really want to work for. It’s not the company, it’s the manager that makes your day. The other thought I have is take action. The biggest difference between a great sales person and an average sales person is that 5:01pm extra call of the day, or picking up the phone call at 4:30 in the morning. Take action, take that extra step. You might think, “Oh, no. I don’t want to work, that’s too much” or “Family’s going to be upset” but you really want to separate yourself from the competition. It’s that. It’s that extra call.